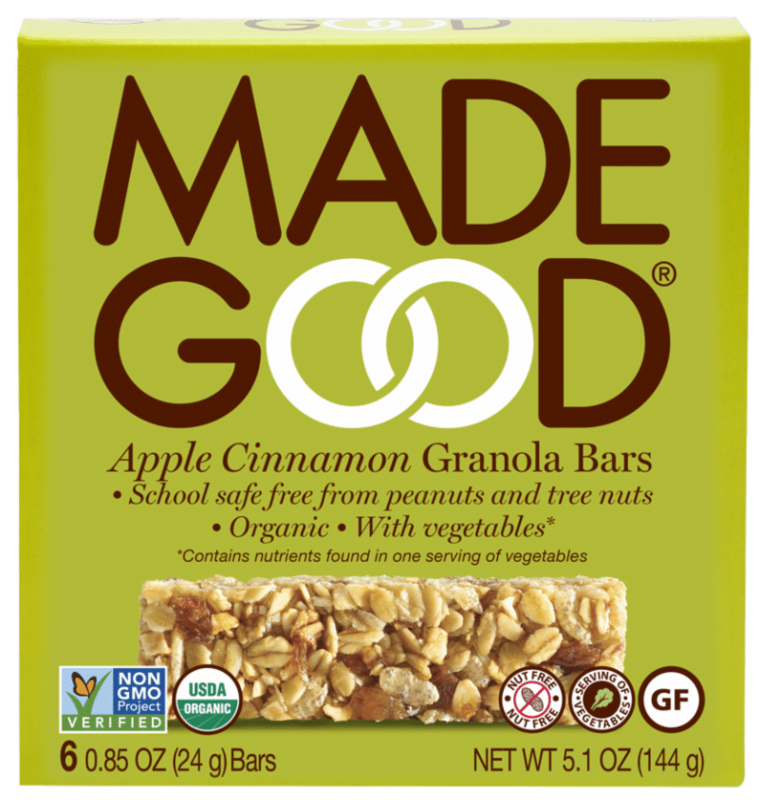 Apple Cinnamon Granola Bars from Made Good Foods consist of gluten-free oats, sweet apples and spicy cinnamon that taste like homemade apple pie. The granola bars are school safe since they are free of peanuts and tree nuts. The gluten-free bars contain oat bran, which is believed to lower LDL, a “bad cholesterol,” and contain nutrients found in one serving of vegetables. The bars are certified USDA organic, vegan, kosher and allergy friendly. Made Good Foods products are produced using an accredited zero waste production facility. The company supports community organizations that improve the lives of children through nutrition, medical support and education. Made Good Foods products are available from vend product distributors and foodservice distributors.